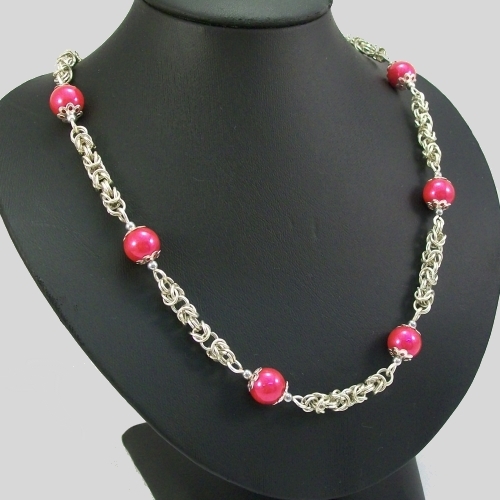 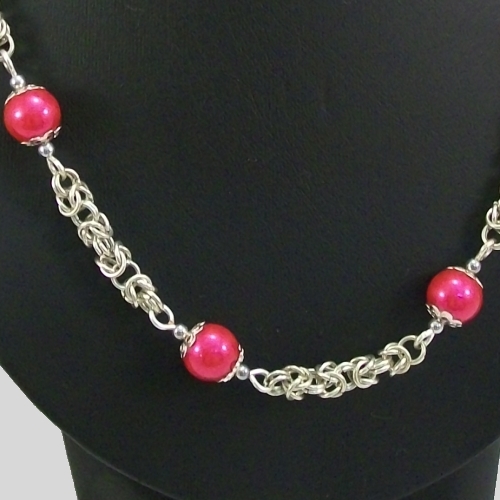 The necklace comprises of six hot pink glass pearls spaced with sections of byzantine chain finished with a toggle clasp. 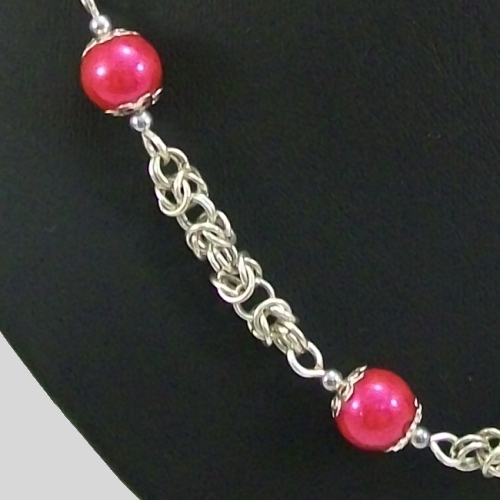 The chain is handmade using approx 280 silver plated rings. 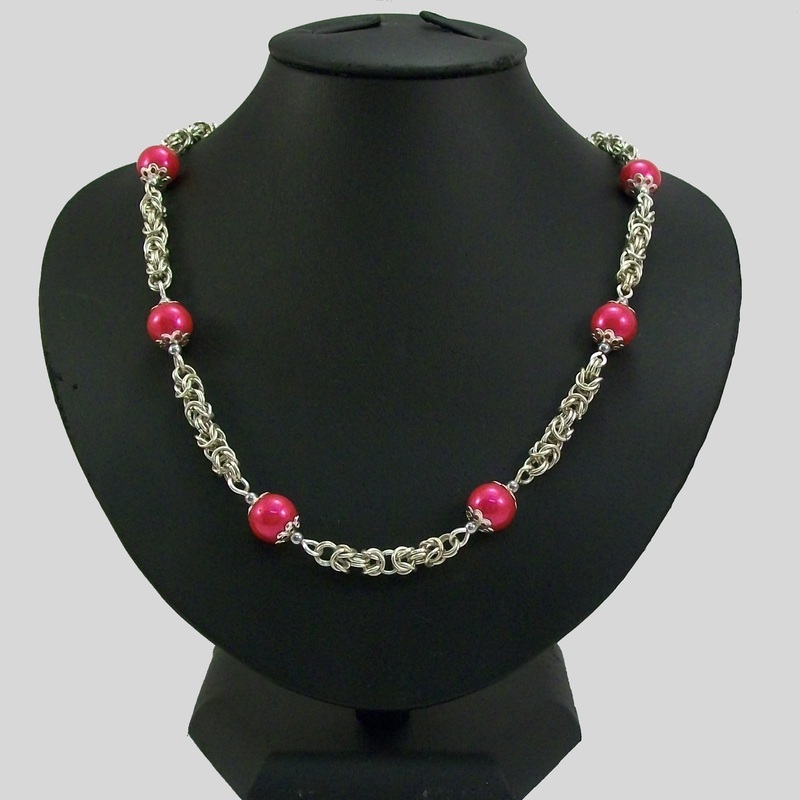 Necklace is 19" in length.